Success in the workplace isn’t just about how smart you are, but it is also about handling your emotions. Employers are challenged in finding job candidates who display emotional intelligence (EQ). This means understanding people’s emotions and responding to them appropriately. Candidates with mental and emotional intelligence may separate themselves from the competition. Leading up to the Graduate Employment Conference Europe (GEC Europe), College Recruiter is publishing the opinions of experts based on a series of questions related to global talent acquisition. In today’s article, Tim Elmore, Founder and President of Growing Leaders, discusses employers’ search for job candidates with emotional intelligence. “Educators and business leaders used to think new professionals with high intelligence would become highly successful. However, real-life work situations prove we can be intellectually capable (astute and articulate) but emotionally incapable (failing to handle negotiation, conflict, criticism). Today employers are finding that success is often more about emotional intelligence than IQ or hard skills alone, and they’re struggling to find these needed soft skills in potential employees. They are looking for job candidates who possess self-awareness, social awareness, self-management, and relationship management, which can sometimes be a tall order when the workplace feels completely different than what college was designed to prepare them for. 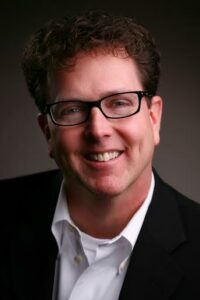 Tim Elmore is an international speaker and best-selling author of more than 30 books, including the Habitudes® series. He is Founder and President of Growing Leaders, an organization equipping today’s emerging professionals to become the leaders of tomorrow. Follow along with Growing Leaders at www.GrowingLeaders.com and @GrowingLeaders @TimElmore.